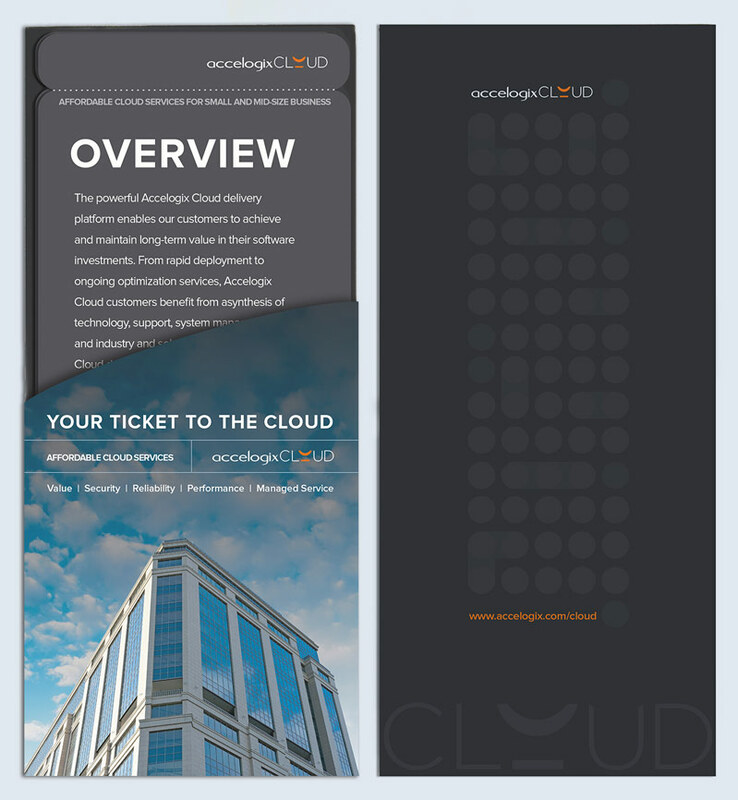 Accelogix launched a new premium cloud service for its clients. It is a high-end service at a price point that is attractive to small and mid-level business. The brand direction focused on differentiation, so there is no overt separate cloud symbol in the identity as is common for this niche. Instead a unique and approachable cloud icon is woven into the typography. The colors draw from the Accelogix corporate palette to promote the concept that this is an extension of its trusted core offerings. The theme, “Your Ticket To The Cloud” coupled with the minimalist aesthetic promotes the service as “first class” with the benefit of affordability. 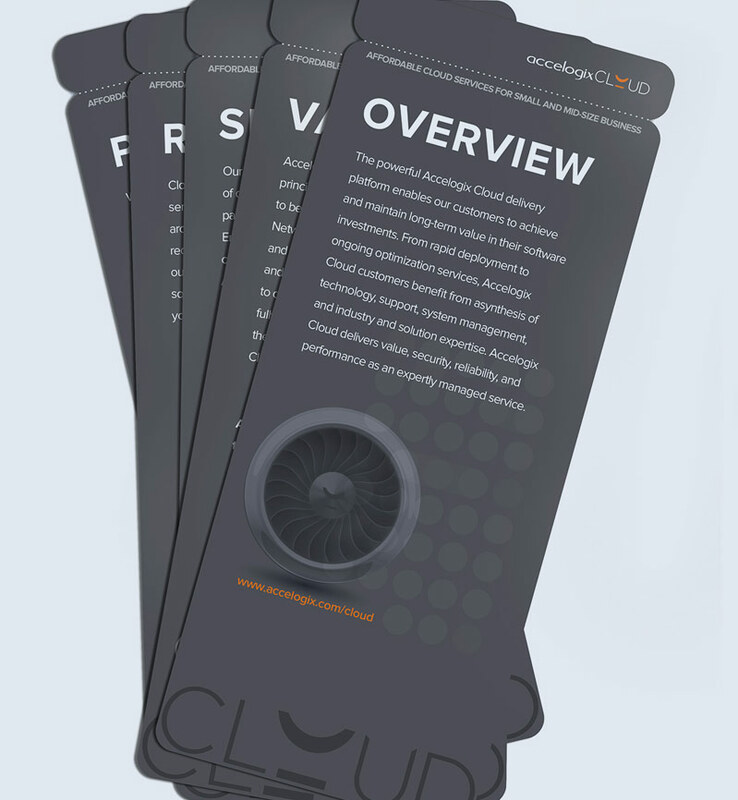 The individual tickets support the brand theme of transporting the client to the cloud utilizing airplane-related iconography with sub-themes of reliability and high performance. Both the logo and the marketing materials immediately won design awards.